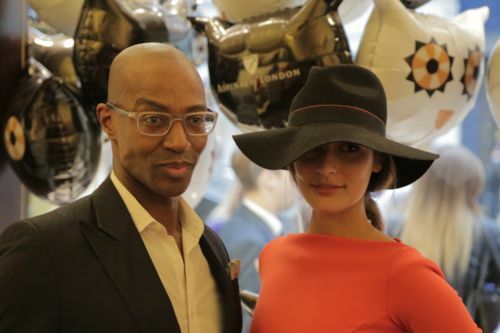 Aspinal of London is still recovering from last night's festivities, celebrating Vogue's Fashion Night Out at Brook Street's Aspinal store! Queuing outside in the hopes to receive one of our limited number of goody bags, Aspinal were joined by hundreds as they helped celebrate with the Aspinal Polar Bear and drinks throughout the night. The event also allowed party-goers to survey Aspinal's elegant A/W collection and to make any purchases on the night. A number of celebrities also joined in the fun with Stevie Johnson, Stephanie Pratt and Lucy Watson from the popular Made in Chelsea making an appearance, along with Gary Lineker and fashion blogger Prince Cassius.